Allan plays harpsichord with the Scottish baroque group the Eris Ensemble. 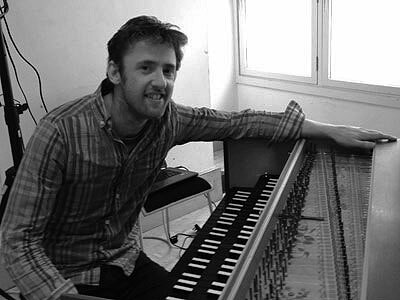 He studied performance on harpsichord with Dr David McGuinness and now teaches part-time at Glasgow University music department. Allan is also organist at Glenburn Parish Church in Paisley. Specialising in both keyboard instruments, his principal repertoire consists mainly of the North German and Dutch music of the 16th and 17th centuries including Sweelinck, Buxtehude and Froberger. The Eris Ensemble adopt a progressive approach to performance, combining new and contemporary performance practises. Their most recent project was a commision by BBC Young Composer of the Year Tom Harrold in conjunction with Edinburgh University Art Department in a concert of contemporary music featuring baroque instruments. As well as performing, Allan has recently completed research into the music of Frank Zappa. His next project is to combine some of this music with the baroque ensemble.